Jonathan Beatty, M.D. : Psychiatrist Philadelphia, PA: SandpiperMD Inc.
At his practice in Washington Square West, Dr. Jonathan A. Beatty has helped residents of the greater Philadelphia area overcome their addictions, anxieties, depression, pain, and other ailments. A highly respected addiction psychiatrist, Dr. Beatty began his career in academia with a faculty appointment at Thomas Jefferson University, prior to opening his private practice in Philadelphia. 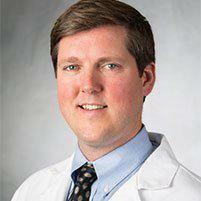 Dr. Jonathan Beatty completed a psychiatry internship at Louisiana State University in New Orleans. He then completed his medical training in the field through a residency at Drexel University’s Hahnemann Hospital in Philadelphia. Since then, Dr. Beatty has continued to practice medicine in a number of different roles at institutions throughout Greater Philadelphia. He has consulted for some of the most well-known organizations that address addiction. Dr. Beatty has in addition been featured in publications like Psychology Today, etc. Dr. Beatty is one of the few psychiatrists in the greater Philadelphia area who is triple board-certified. He has met all certification requirements, including passing the board exams for, and is certified by the American Board of Pain Medicine, the American Board of Psychiatry and Neurology (as a Diplomate) and the American Board of Addiction Medicine. Thanks to his extensive expertise in psychiatry and addiction therapy, Dr. Beatty is able to offer a variety of services at his practice, SandpiperMD, Inc. He provides addiction recovery counseling, anxiety treatments, ambulatory detoxification, depression treatments, medication management, mood disorder treatments, psychotherapy, and telemedicine. He also offers medication-assisted treatment plans that encompass the use of the medications, vivitrol, buprenophrine, and probuphine. Dr. Beatty is especially grateful and pleased to be able to serve the patients of Philadelphia. The City of Brotherly Love is his original hometown, and he has a deep appreciation for the community. Now Accepting Same Day Appointments, Give Our Office A Call Today! ﻿﻿SandpiperMD, Inc. was founded and incorporated by Dr. Jonathan Beatty for the purpose of improving addiction treatment; this can only be achieved by applying the most up-to- date medical treatments available in the field of psychiatry. The scientific research has led to new discoveries about the neurobiology of addiction and definitively proves that it is NOT A MORAL DEFICIENCY or WEAKNESS. Rather, it is a complex MEDICAL disorder and should be managed accordingly. This is not to say that peer support does not play a critical role in treatment and in many cases it is extremely helpful. Our objective is to complement the treatment plan by leading it with scientific approaches that have been shown to improve outcomes. This means looking at the biological (genetic and physiologic), psychological (mental), social (behavioral) components of addiction and addressing each of them. Because addiction is an aggressive problem, it requires aggressive treatment. However, this is often achievable at the outpatient level of care, being seen in the office setting. The first step is to identify your goals and create a problem list. This list includes the substance use, any coexisting medical/psychiatric illness and anything else that is diagnosed during the evaluation. Next, we create a personalized treatment plan to meet your goals. This often begins with some form of ambulatory (outpatient) detox from the substances that are creating the most harm. In some cases, inpatient detoxification is necessary and more intensive levels of care are required for the acute stabilization. SandpiperMD has affiliations with facilities that can offer those services when appropriate. The next phase includes regular visits with psychotherapy (talk therapy) to address any underlying causes of the substance use such as depression and anxiety as well as identifying cues (triggers) for relapse. Patients often experience physiologic responses that cause unpleasant physical symptoms making them more prone to relapse; these are evaluated regularly through history, biometric screening of vital signs and sometimes laboratory diagnostics. As they are identified, techniques can be taught to reduce these responses; there are also medications that may be helpful for consideration of both physical and psychological symptoms. Much like heart disease or diabetes, addiction follows a disease pattern that is reproducible and even predictable. There are various strategies to achieve your goals in addiction, and our job is to help you identify these patterns and reach these goals. I often say, “if you never touch another (insert substance here), you will never have another substance-related problem again.” While this is nearly irrefutable, it does not mean that it is the only solution. Sometimes it is possible to achieve a safer, less harmful moderation of substance use and at SandpiperMD we approach each person individually to create realistic and achievable goals. Some helpful information about the science of addiction can be found at the American Society of Addiction Medicine (ASAM) website: http://www.asam.org/quality-practice/definition-of-addiction. To find out more about telemedicine and to see if it would be a good fit for you, click here! Setup a Skype account today to get started! Find out how by clicking here! Own an Apple device? Use FaceTime to participate in a remote consultation. Find out how by clicking here! Leave Dr. Jonathan Beatty A Review!